We are happy to announce another awesome CloudConvert enhancement! 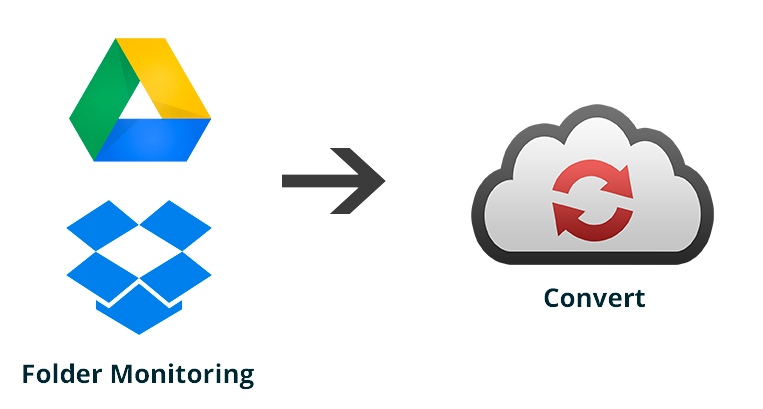 CloudConvert Folder Monitoring is a powerful feature to make your workflow even more efficient. You can set up special folders in your Google Drive or Dropbox account as Triggers. Every time you add a file to this folder it is automatically converted to a chosen output format with your customized options. Folder Monitoring is available as Beta feature for our paying users (prepaid package or subscription), starting today!